Thematic Feast at Charcoal, The Saujana Hotel and Resorts Subang. 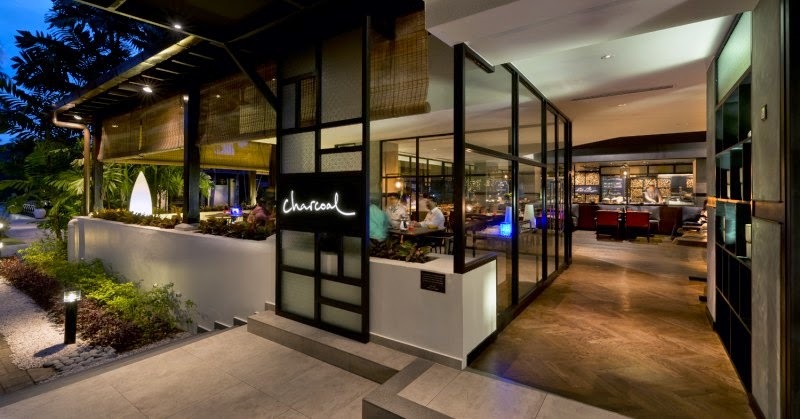 Recipient of five awards in the recent MIGF 2014, Charcoal dares to be different with its themed nightly buffets at one unique price so if you have a craving for anything Nyonya, quality seafood to char grill bbq, then head to Charcoal. The Saujana Hotel Kuala Lumpur, strategically located 30 minutes from Kuala Lumpur city centre, 35 minutes from the Kuala Lumpur International Airport (KLIA) and only 5 minutes from the Subang Skypark, combines comfort and adventure amidst 160 hectares of lush tropical gardens. Taking its name from an old Malay expression ‘sejauh di sana’ meaning – as far as the eye can see –the 210-room retreat adjoined to two 18-hole championship golf courses of Saujana Golf & Country Club is an idyllic haven for business and pleasure. Walk in The Saujana Hotel will such an fantastic feeling for a ordinary person like me.. ^_^' ... Seeing Charcoal for the first time and walk in a great ambience of the restaurant I know this place will satisfied my craving for a great BBQ delicacies. There is regular seating and banquette seating, and diners can choose to dine-in air conditioned or al fresco area. There is also a private hall great for any company events and a few smaller private rooms for those who prefer to dine in privacy . 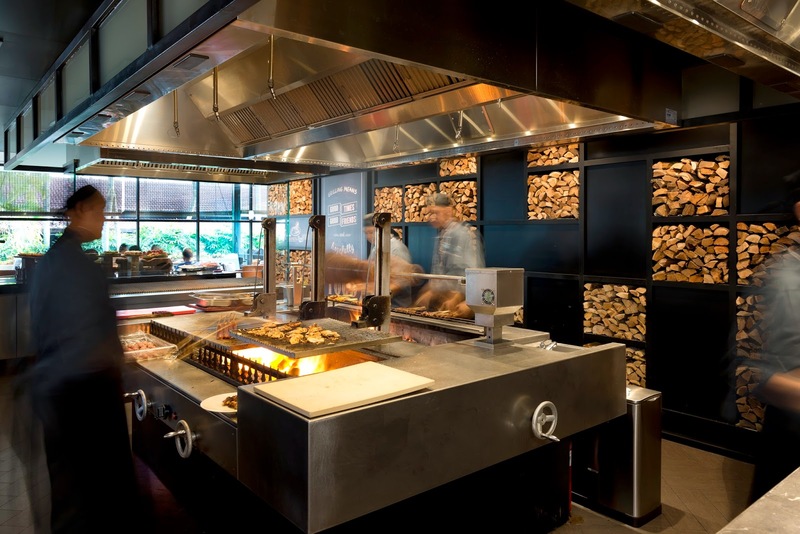 Guest will enjoy the contemporary, elegant and cosy ambience and be mesmerized like yours truly here at the beautiful open kitchen in the centre is where all the BBQ and grilling actions take place. From time to time, we can enjoy sights of embers. Charcoal has wall-to ceiling glass panels that overlook the lovely landscape and is quite cosy and warm at night. The warm wood colors create soothing earth tones with the cool gray walls and rich leather furniture. There are three themed nights for this Thematic Feast. Hungering for fresh, quality seafood? You would love to get a taste of the freshest marine harvest at Charcoal's buffet dinner on Friday nights!!! Sample a tantalizing spread of an amazing selection of seafood cooked and grilled in a variety of flavours prepared at live stations, along with hot dishes and desserts. Check out menu hightlights such as Flower Crab, Australian Oysters, Tiger Prawns, Slipper Lobster Tails, Salmon Steaks, Sea Bass, Green Lip Mussels, Gem Fish, Squid, Snapper Fillet, Clams and Cockles. More of a chargrilled BBQ person? 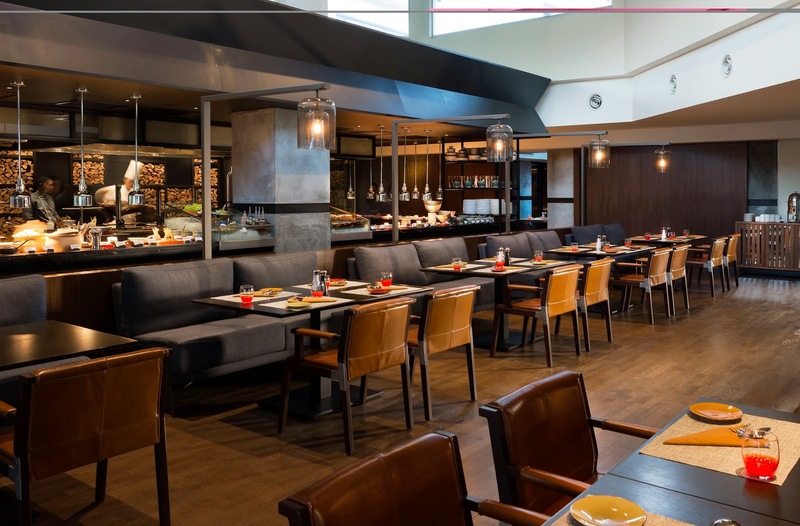 Indulge in an infinite supply of tender cuts of quality meats and seafood cooked to perfection with tasty side dishes, selection of sauces and a tantalizing fresh salad bar. You will definitely have an amazing time enjoying a wholesome meal with your entire family with choice selections of Beef Sirloin Steak, Roast Beef Ribeye, Tandoori Chicken, Lamb Leg Steaks, Chicken/Lamb Satay, Koftas, Duck Breast, Stingray Fish, Squid, Seabass Fillet, Snapper, Corn on the Cob and Baked Sweet Potato Wedges. Lastly if you have a craving for Nyonya dishes, head over to Charcoal on Thursdays, where you can get your fill of authentic Peranakan dishes cooked with love from scratch by the infamous Chef Auntie Belle, a true Portuguese legacy all the way from Malacca. Enjoy the best of her variations of scrumptious Nyonya cuisine such as Duck Soup with Salted Vegetables, Curry Laksa, Pineapple Prawn Curry, Chicken Devil Curry, Ketam Goreng Halia (Fried Crab with Ginger), Chap Chai (Vegetables and Beancurd) and Butter Prawns with Oats. That night is not only about the food, it is also a fashion show from the very own Malaysia Batik Queen,Kartini Ilias. All the models walk in every corner of the restaurant to present the guest with the batik clothes. If you love to had a piece of this batik you can check out at their website at www.ikartini.com. We definitely had a good time here! If you a great fan of BBQ and grilling this place will be a great choice for you to indulge with your family. I love Roasted Lamb ! LOL!